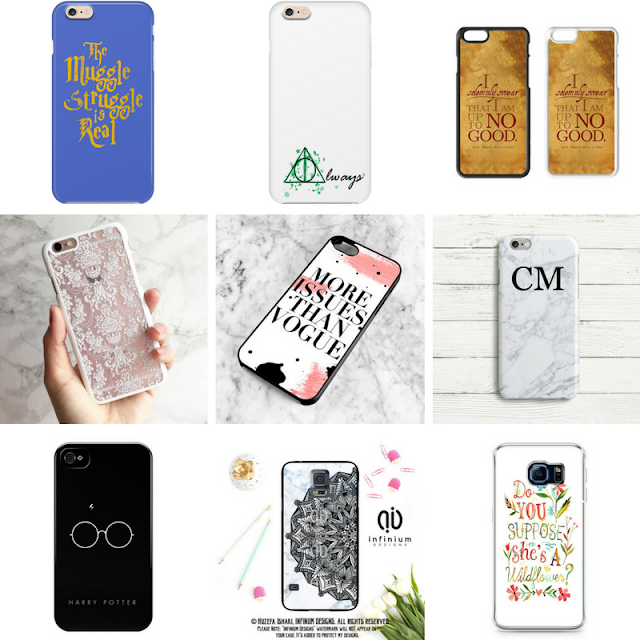 Although I’ve searched for phone cases during the year, I thought with it being gift giving season I would share some of the beautiful and cool (i.e Harry Potter related) phone cases I have found. I think phone cases are a really nice way to show your style or personality and sometimes they can just be so refreshing and inspiring to look at. Mine currently is a PU leather case with a dream catcher, it has such lovely calming colours on it and really just makes me smile when I look at it. I have a Samsung S6 Edge, so it was one of the things I had in mind when I went hunting for phone cases, as a result all of the cases are available for iPhones and some Samsung phones!